Hastings Fat Tuesday announce a new initiative to reduce the needless use of plastic in our town. Hastings Fat Tuesday are very excited to announce a new initiative working alongside 247 taxis and Plastic Free Hastings to reduce the needless use of plastic in our town. Hastings Fat Tuesday will be the first multi venue festival in the UK to become single use plastic cup free. As a coastal town we have a responsibility to save our oceans and to stop swamping landfill with endless quantities of plastic cups. The uk produces 400 million tons of plastic every year and 40% of that plastic will only be used once before it is binned. Carrier bags, drinks bottles, crisp packets and of course, events cups are prime examples of single use plastics. In addition to the re-usable cups all the participating pubs will be using compostable plastic cups as back up. These are not ideal as we don't have an industrial compost site in the South East of England. This means that the compostable cups will be incinerated but won't release a noxious gas as other plastics do. This is just the start, we would like to see all other Hastings events and festivals use this same model in order to really reduce our single use plastics. Eventually we would like to see reusable cups used all year round in all our pubs. 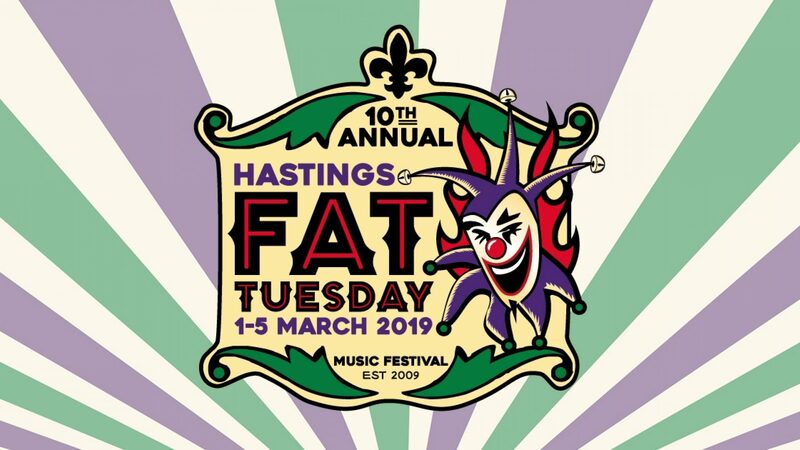 The full Hastings Fat Tuesday 2019 programme will be announced soon. For all the latest news and updates visit hastingsfattuesday.co.uk .